When driving through a big city, it’s easy to get distracted, redirected, and even lost. We can find our eyes quickly wandering from the road, pulled away by the bright lights and tall buildings. Street signs are literally piled one upon another with arrows pointing in every direction, not to mention all the chaos of car horns and sirens. Sometimes the same thing can be said when trying to navigate our Christian walk. It’s easy to get pulled in a lot of different doctrinal directions, misled by the opinions of men, especially as a young believer. God’s Word instructs us to “Be no more children, tossed to and fro, and carried about with every wind of doctrine, by the sleight of men, and cunning craftiness, whereby they lie in wait to deceive…” Ephesians 4:14. Sadly, there are too many teachers willing to offer their confusing and often times contaminated philosophies to unsuspecting seekers stopping to ask directions, sending them the wrong way down bumpy avenues and dark alleys. As a born again believer in Jesus Christ, it’s essential to diligently navigate using God’s Word, not man’s opinions or doctrines of devils. One thing that seems to get many Christians misguided in their doctrinal direction is the false notion of evolution. If a young believer begins reading Genesis at face value it won’t be long before it occurs to him that the Genesis account of creation is in direct contrast to evolutionary teachings. Now this young believer has a choice. He can either ignore the first several chapters of Genesis, assuming they are mythological, he can read it as it’s written, or try to blend the evolution and literal creation accounts together. The goal for the rest of this blog is to provide the first two of five key “sign posts” to help navigate through the concerns and confusion of the evolution vs. creation debate in hopes of keeping born again believers headed in the right direction. 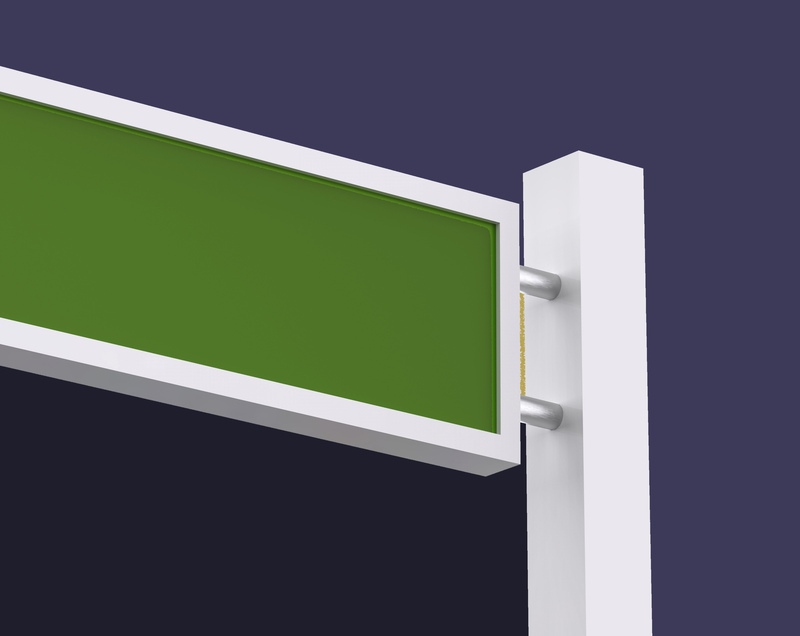 Sign Post 1: The literal intent of Genesis. Too often people decide to deal with the creation/evolution debate by categorizing Genesis as allegory or mythology. The problem with this is threefold. First, the text itself is written as a historical not an allegorical account. Most Hebrew scholars agree that the Genesis creation account is meant to be understood historically, not simply as some metaphoric storyline. (Note: Mentioning scholars here isn’t to lift up men, but rather to make the simple point that those studying the Hebrew text as a career do have sound input for this point of the argument.) Of course this doesn’t mean these same scholars have chosen to believe the creation account, but they do at least agree that the text itself is intended to be taken literally, not allegorically. “So far as I know, there is no professor of Hebrew or Old Testament at any world-class university who does not believe that the writer(s) of Gen. 1–11 intended to convey to their readers the ideas that (a) creation took place in a series of six days which were the same as the days of 24 hours we now experience (b) the figures contained in the Genesis genealogies provided by simple addition a chronology from the beginning of the world up to later stages in the biblical story (c) Noah’s Flood was understood to be worldwide and extinguish all human and animal life except for those in the ark.” 1. Making the Genesis creation account allegorical would be akin to believing your car’s navigation system was not meant to be taken literally. This would not only add confusion, but would inevitably and continually get everyone in the car lost, rendering the navigation device useless. Secondly, Jesus Himself quoted from Genesis as a literal text. 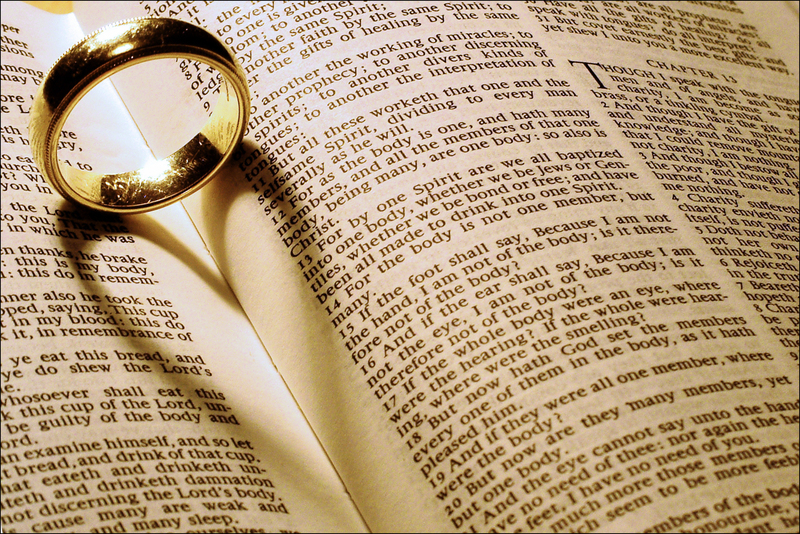 For example, when asked about divorce, referring to Genesis 1 and 2, He said, Have ye not read, that He which made them at the beginning made them male and female? And said, For this cause shall a man leave his father and mother, and shall cleave unto his wife: and they twain shall be one flesh? Matthew 19:4. Also consider that every writer from the Bible referencing people from Genesis 1-11, i.e. Satan, Adam, Eve, Enoch, Noah, etc. always did so in a literal way. None of the men moved by the Holy Spirit to pen God’s Word ever gave even a slight indication that Genesis was anything but a true historical record. The third issue with allegorizing the beginning chapters of Genesis is simply this: If the beginning is not historical, then where does the allegory end? Genesis means book of beginnings. It’s the record of the how the universe, earth, and mankind began. It’s also the account of the origin of God’s appointed nation, Israel. There are no grammatical differences indicating chapters 12-50 are to be understood any differently than the first eleven chapters. Therefore if the first eleven are intended to be allegorical, then why wouldn’t the rest of the book follow suit? Ironically, those professing Christians claiming the beginning of Genesis is mythological usually don’t ascribe the same interpretive philosophy for the remainder of the book. This is inconsistent and contradictory at best. Genesis is meant to be read as the text is written. Just as it is in any other book, if there are analogies or allegories, it will be clear from the text. “In fact, evolution became in a sense a scientific religion; almost all scientists have accepted it and many are prepared to ‘bend’ their observations to fit in with it.” (British physicist, H.S. Lipson)2. “Evolution is promoted by its practitioners as more than mere science. Evolution is promulgated as an ideology, a secular religion—a full-fledged alternative to Christianity, with meaning and morality. I am an ardent evolutionist and an ex-Christian, but I must admit in this one complaint. . . the literalists [i.e., creationists] are absolutely right. Evolution is a religion. This was true of evolution in the beginning, and it is true of evolution still today.” (Michael Ruse, History and Philosophy Professor, Author of The Darwinian Revolution (1979),Darwinism Defended (1982), and Taking Darwin Seriously (1986). 3. Real science, the science that builds rocket ships, makes satellites, etc. is not the same as “molecules to man” evolution. Operational science cares nothing about the meaning of life. If interviewed, most would readily admit that the meaning of life is a spiritual, not scientific pursuit. Yet, in the ultimate sense, evolution attempts to serve as a framework with which all knowledge must be weighed against; a framework that is supposed to explain what life really is all about. Evolution is, in fact, not just a story about where all things originated from, but a story about where we are and where we’re headed. It actually serves as the overarching historical record of everything related to this universe and mankind. The big picture of evolution really does attempt to be the answer for the origin and meaning of all life. When all its scientific garb is stripped away, evolution is a spiritual philosophy attempting to replace God’s Word and sadly even God Himself! In fact, the natural (or better stated, spiritual) progression of evolution follows that man only has one final step in his ascension. That step — godhood. Sadly, this is the very lie that Satan himself was self-deceived by and later fed to the entire human race. (Genesis 3:5; Isaiah 14:14.) Robert Jastrow, the founder and director for many years of the Goddard Space Institute that sent Pioneer and Voyager said, “Evolution could have been going on in some planets 10 billion years longer than on this planet, and those beings would be as far beyond man on the evolutionary scale as man is beyond a worm. And when we see them, they would seem like gods to us.” 4. W. L. Wilmer is one of the leading authorities on masonry. In his book, The Meaning of Masonry, he says: “The evolution of man into superman—(see, we’re not just talking about evolving in the human beings, but evolving upward to godhood. )—the evolution of man into superman was always the purpose of the ancient mysteries. Man who has sprung from the earth and developed through the lower kingdoms of nature to his present rational state has yet to complete his evolution by becoming a godlike being, and unifying his conscience with the omniscient.” 5. It is this writer’s biblical conviction that the philosophy of evolution will never be abandoned in the minds and hearts of men, not because it’s so essential for scientific advancement, but because evolution is utterly crucial as THE framework for spiritual deception. Evolution is, in reality, the ultimate framework deluding billions of hearts and minds into believing they might actually have a chance to become their own gods. Evolution is as the Bible calls it, a “science falsely so called” (1 Timothy 6:20) and stands in direct and complete opposition to God’s Word. It leads many to destruction and many believers into an ineffective walk, doubting their faith in God’s Word, fearing men instead of God. 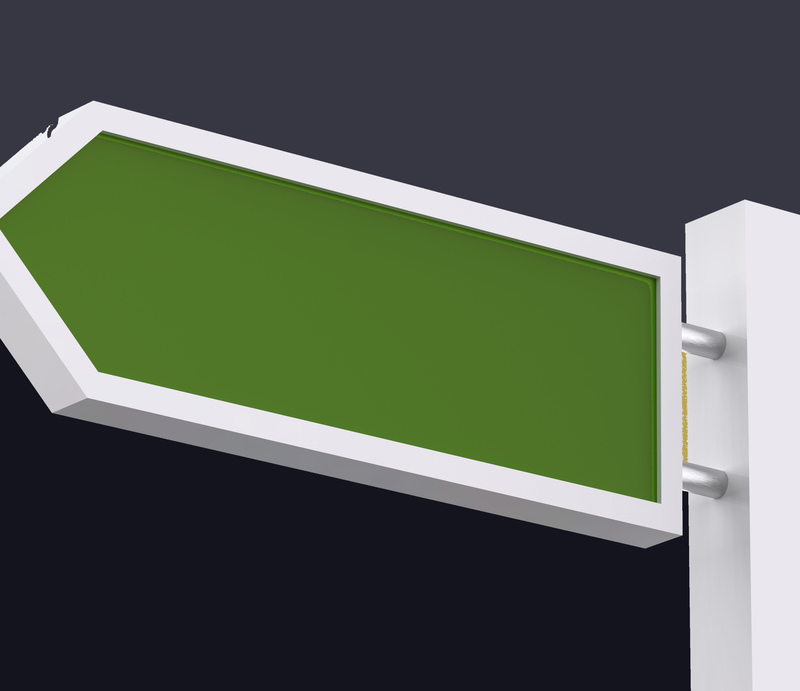 As we choose to faithfully follow God’s Word, may we carefully consider the sign posts placed along the way. God has lovingly given us His true and perfect Word to keep us from getting lost and from misdirecting others from the truth that is found in Jesus Christ alone. J. Barr, personal letter to David Watson, April 23, 1984. H.S. Lipson, “A Physicist Looks at Evolution”, Physics Bulletin (V. 31, n.d. 1980). Michael Ruse, “Saving Darwinism from the Darwinians,” National Post (May 13, 2000), B3. Yes, the sword is the principal offensive weapon, yet in any war a good strategy is arguably just as important as the chosen weapon. If an attack is poorly planned, even the best of weaponry may render the assault useless. Praise God this is only true for the physical realm! God’s Word will always accomplish what He desires no matter our poor planning. Nevertheless, our desire should always be to properly prepare our hearts and minds in Christ Jesus. The spiritual strategies vary throughout our walk with the Lord. There are times to move forward offensively in the power of the Spirit and other times to wait patiently on our Lord’s direction. However, in general, there is a threefold plan that should be taught to and demonstrated by every believer, one that will serve as the framework for every chapter in our walk with Lord. 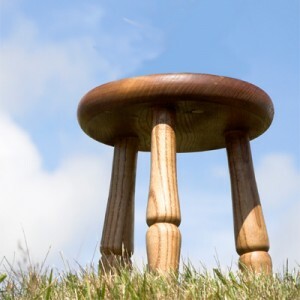 This strategy is much like a three-legged stool. If only one or two of the legs are employed, the believer will not have as firm a foundation as intended, leaving him and those he disciples at best anemic and at worst open to deceptive doctrines. The threefold strategy for every believer is clear: preach, warn, and teach every man. Over the last several decades, many believers around the world have grown weak, choosing to embrace a man-centered, psychological, and social gospel instead of simply preaching and teaching Christ from the Word of God. Thankfully there are a few fellowships that have stood firm on the God’s Word. They do a good job of preaching and teaching Jesus, but unfortunately even many of these have chosen to ignore the other leg of the stool, not warning the flock of God in all wisdom. All three areas must be exercised for each individual believer and the body of Christ as a whole to be as healthy as possible. Warning every man in all wisdom: “Wisdom cries aloud outside; She raises her voice in the open squares. She cries out in the chief concourses, at the openings of the gates in the city She speaks her words: “How long, you simple ones, will you love simplicity? For scorners delight in their scorning, and fools hate knowledge.” Proverbs 1:20-22. Even solid, Bible teaching churches too often seem to fall into the error of not warning the flock of the dangers of false teachers and heretical teachings. Some argue that we must simply focus on the truth, not worrying about the false teachers within the body of Christ. But Peter warned the saints of Satan’s desire to devour as many as possible (1 Peter 5:8), and Paul warned the Ephesian elders that grievous wolves would enter even among them, drawing away disciples after themselves, not sparing the flock (Acts 20:29). Many times the Treasury Department analogy is used to reinforce the importance of focusing on the truth. While it’s true that those working for the Treasury Department must carefully study real US currency in order to detect counterfeits, it’s just as true that the same workers must know how the counterfeiters operate, i.e. make their bills, circulate them, etc. As believers we must study, know, love, preach, and teach the truth of God’s Word, but we are not to be ignorant of Satan’s devices. (2 Corinthians 2:11) According to Colossians 1, we must warn the flock of God in all wisdom. Interestingly, many faithful followers of Christ are very concerned about warning the world of the Hell they are heading towards. Why is it that somehow we lose so much of that concern when it comes to the body of Christ? 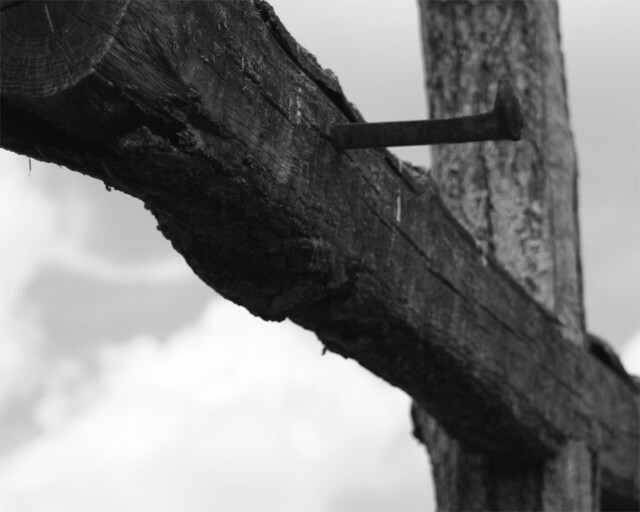 Should we not be more concerned for the body of the One who delivered us from death to life? Speaking of the body, consider a physical body that is unable to fight off infection properly. Certain cells in the blood spend all of their time identifying, mapping, and destroying enemies of the body, all to the goal of keeping it healthy. Why should it be any different in the body of Christ? The Ultimate Goal: No Christian is called to preach, teach, and warn simply for the sake of preaching, teaching, and warning. Colossians 1:28 makes that clear. Learning how to utilizing all three of these facets is an essential strategy, requiring diligent dedication. We are called to employ all three with the purpose of presenting every man perfect, that is to say, thoroughly furnished and mature in Christ Jesus. In reality when we only choose to employ one or two of the strategies revealed in Colossians 1:27-28, both we and the hearers lose out on growing in maturity as quickly as we should. We lose out on a closer and more intimate walk with our loving King! God wants His children growing to have a healthy and utter dependence (not independence) on our Lord and Savior, the Head of the body, Jesus Christ. Regardless of what’s popular in today’s professing churches, may we seek to faithfully feed the flock of God; preaching Jesus, teaching, and warning every man all because of our love for Jesus and a true love for His body! Recently there was a biblical discussion between several men from two totally opposite camps of belief. 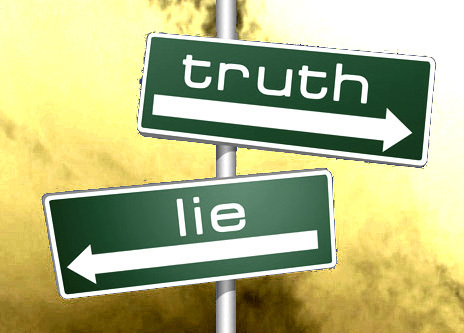 Both claim to hold to God’s Word and both claim to desire the truth above all else, however both cannot be correct. When dealing with the subject of whether or not God created the universe, there is really no division among professing Christians. All those claiming to be followers of Jesus Christ would join arms here, yet the separation occurs as soon as the discussion moves beyond this point. This recent panel conversation was no exception. Some in the group expressed their belief in a literal six-day creation around six thousand years ago. The others clung tightly to a long-earth view, stating that the Bible leaves plenty of room for the common evolutionary belief of billions of years along with death and suffering as the major agent used by God. What was most interesting was not how quickly some abandoned the Word of God to make their points, nor how much the long-age spokesmen thought they were honoring God. What was most amazing was how blindly those who purported the old universe doctrine claimed to be neither evolutionary, nor hold to any teachings majorly different than those who aligned themselves with a literal reading of Genesis 1-11. It Does Matter: Hugh Ross, an astrophysicist and self-proclaimed day-age Christian, was one such guest. He is either ignorant in his assertions or disingenuous when stating that he is not an evolutionist at any level. He also said he really believes no differently than Ken Ham, who was also on the panel and unashamedly holds to a literal interpretation of Genesis 1. If it weren’t so sad, it would almost be funny. Although Hugh Ross claimed no major differences in belief, there are actually about 10 billion of them. After Dr. Ross’ proclamations, two others from the panel joined in, making similar statements. After pitching his tent on the same side as Hugh Ross, Sean McDowell, son of Josh McDowell, smiled and boldly proclaimed that it really doesn’t matter how God made the universe as long as we believe that He did. Sean said he chooses instead to focus on how much God loves us and has a purpose and plan for our lives. Even though Sean and others say it doesn’t matter, there could be nothing further from the truth. It really does matter when and how God created the universe. 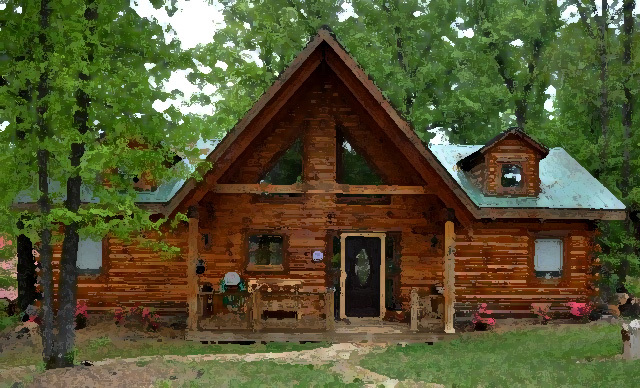 Sean McDowell’s Log Cabin: As an intro after a commercial break, TBN (the host channel of the creation discussion) played a clip of Sean McDowell talking to the camera as he stands inside a beautifully decorated log cabin. The point of the video is to reveal how obvious it is that the universe has a designer, but Sean makes an unfortunate mistake. Paraphrasing his video monologue, Sean asks the viewer to pretend he stumbles upon a cabin after walking through the woods. The door is unlocked and the viewer chooses to enter. Looking around, the hiker notices his favorite foods are on the dinner table and everything inside is perfectly prepared for his tastes. Sean then moves to strike, pulling the analogy together by asking, “What can we deduce from the cabin being filled with everything that suits us?” He then explains that we should conclude that the cabin must be designed for the hiker. And just as the cabin is intentionally built for him, so it is with the universe. Everything in this world and universe fit perfectly to provide all that we need in a way that reveals a master designer. While this might be an adequate intelligent design argument, there are a few things Sean has left out. More will be said about this in a little bit. Analogies: Just as it is with other analogies, Sean has a starting point or belief system and his starting point is what dictates the analogy. Although analogies are good tools for making points, they often times also reveal the speaker’s own presupposed philosophies. It’s also worth noting that no analogy can completely cover all tenants of a person’s belief system. Ray Comfort’s Airplane and Parachute: Another analogy given by Ray Comfort unfortunately also missed the mark even though he is someone who has consistently held to a literal reading of Genesis 1 and believes the earth to be around six thousand years old. Ray routinely uses an airplane flight to show the importance of the Gospel of God. Although a good analogy in demonstrating the necessity of putting on Christ (like a parachute) for the right reasons, the story falls short when used in conjunction with the importance of whether or not creation happened just as Genesis 1 plainly spells it out. An Unnecessary Contrast: Ray began his wrap-up of the two hour panel discussion by saying that although the conversation of how God created is an important one, if you were on a plane that was broken and ready to crash, you would not turn to the stewardess handing you a parachute to ask her the age of the plane. Instead you would gladly put on the parachute to save your life. Again, while on the surface this might sound reasonable, the decision to contrast creation and the Gospel actually does more harm than good. Here’s why: Ray’s comments separate the method of creation and the method of salvation, yet fail to consider that both reveal the character of the same God. In actuality, neither the Gospel nor creation are the center of the Christian life. Granted, the Gospel is the good, rather the great news of God’s amazing act to buy back all who will come to Him, and without it we would have no hope of eternal life. But in reality, God Himself is the center; God Himself, revealed in Jesus Christ, is our life. His character is what matters most, and His character is demonstrated and revealed in all He says and does. The Incompetent Maker: What if the plane isn’t in disrepair due to its age? Perhaps the maker and maintainer of the plane are at fault. Maybe this person, although very intelligent, wasn’t quite smart enough to make and maintain the vehicle to last very long in the sky. What if the person was basically incompetent? Then what if the one who made and maintained the plane was also the one who supplied the parachute? (This is probably the most closely related analogy to the God who created the universe and also is the Savior of mankind.) If the plane is going down, then one who made and maintained it did not do as good of a job as he could have. If this is the case, then if he also packed and supplied the parachute, would there perhaps be a little trepidation in putting it on? Let’s say you’re tumbling through the sky, pull the cord, and the cord breaks off. You then reach for the backup cord and there is none. Finally, with only seconds before impact, you try to manually open the chute only to discover it is not packed correctly by the maker of the plane. You see, there are serious implications connecting the plane’s age, the method and competence of the plane’s construction and maintenance, and the parachute inside. The Maker’s character is the heart of matter. If the plane goes down, then one must ask why did it fall in the first place. The answer will inevitably lead back to the maker of the aircraft. There is perhaps one more basic answer to the failure of the plane. The Disturbed Designer: There is also one more thing to consider. Perhaps the designer of the plane is not incompetent at all. Maybe he is simply disturbed. Maybe he purposely designed the plane to crash. This has definite implications when strapping on the parachute. If this is true, then most likely the chute itself would be sabotaged for all unsuspecting passengers. The Cabin’s Creator: Analogies can also be used to reveal the errors in Sean McDowell’s cabin. If, as Sean says, it doesn’t matter how God made the universe and if God is the builder in his cabin story, then it actually does matter. Although this planet is amazing, there are all kinds of dangerous things that seem to raise questions. We have natural disasters such as earthquakes, tornadoes, tsunamis, etc. as well as poisonous creatures and plants, and the list goes on. So saying that there is a wonderful cabin filled with all your favorite foods is less than an accurate view of the world around us. To make it more fair, let’s say the hiker walks into the cabin and begins eating the food only to get food poisoning. He then goes into the bathroom and trips on a broken tile. Then washing up, the traveler discovers there is only ice cold water and the towels are inundated with lice. If this were the case, the person might begin wondering about the competence and intentions of the one who made and prepared the cabin. IT REALLY DOES MATTER HOW THE CABIN WAS MADE. The Creation/ Salvation Connection: Interestingly, regardless of an old earth or young earth, many from both camps would agree that Jesus died and raised in three literal days and is the only way to Heaven. Yet those that cling to billions of years fail to see that the character of God is inextricably entwined with both creation and salvation. They are eternally linked. Why? Because God is responsible for both. To say it doesn’t matter how God created is like saying it doesn’t matter how God provided salvation. It matters. His character is revealed in both. The Living God created life by His Word, not through death, and the God of love chose to die for sinners because sin, not God, brought death. God brings life. If a business builds its success by murdering people, does it really matter whether or not it gives money to orphans and widows? No matter how you spin it, if God’s character is directly connected with death as the ultimate agent of life, He is the author of death. Yet according to His own Word, death is said to be the last enemy of God. 1 Corinthians 15:26. But death brought life in Christ, didn’t it? Yes and no. Yes, Jesus chose to die for the sins of the world. “For He has made [Jesus] to be sin for us, who knew no sin; that we might be made the righteousness of God in Him.” 2 Corinthians 5:21. But if Jesus would have stayed dead, we would have no hope at all, so it’s not merely His death, but His resurrection that brings men life. In the same chapter of 1 Corinthians, the Holy Spirit, through Paul, writes, “And if Christ be not risen, then is our preaching vain, and your faith is also vain.” 1 Corinthians 15:14. Yes, Jesus laid down His life and this led to eternal life to all those who turn to Him, but His death would not have been necessary if sin had never been allowed to intrude into God’s perfect creation. If death would have been God’s original “thumb print” on creation, then why use death as Adam and Eve’s judgment? After all, creatures would have been dying and evolving for millions of years before Adam and Eve sinned. So Adam and Eve were seeing creatures killing each other and dying of cancer, etc. Then God tells them if they eat of the Tree of Knowledge of Good and Evil that they’ll die just like everything else is already dying??? Then later Jesus comes to die for the sins of the world, the sins that brought death upon mankind; the same death that God had already used for millions of years in all other creatures to help them evolve. This makes no sense! Sadly, confusion, at best, is all we are left with when man’s ideas are mingled with the Word of God. The Whole Counsel of God: It’s clear the Lord has given the saints different giftings and areas of ministry that serve the whole Body of Christ, but one thing is certain. We are all to grow in the complete understanding of the grace and knowledge of our Lord Jesus Christ. (Ephesians 4:11-13). This growth takes the power of the Holy Spirit, the love of the truth, and the humble, wholehearted study of God’s Word. We all must be careful not to let the focus of any ministry overshadow the whole of Scripture. We must proclaim more than a message. May we never forget to declare the whole counsel of God! “But none of these things move me, neither count I my life dear unto myself, so that I might finish my course with joy, and the ministry, which I have received of the Lord Jesus, to testify the gospel of the grace of God. For I have not shunned to declare unto you all the counsel of God.Take heed therefore unto yourselves, and to all the flock, over the which the Holy Ghost hath made you overseers, to feed the church of God, which He hath purchased with His own blood.” Acts 20:23,27 and 28.